As a former journalist and politician, German FA (DFB) president Reinhard Grindel is a pretty eloquent man. 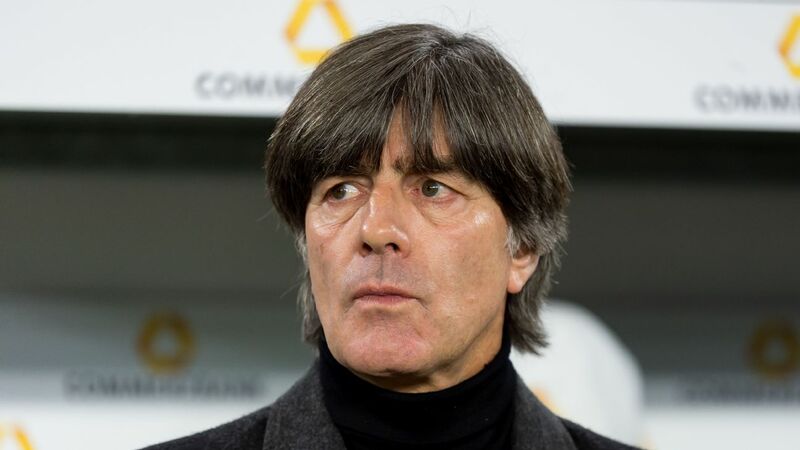 But when the 57-year-old stepped in front of reporters at midnight to offer his verdict on the 2-1 defeat to France, and by extension on the embattled manager Joachim Low, the words that came out his mouth were drowned out by the (metaphorical) screeching sound of goalposts being moved. 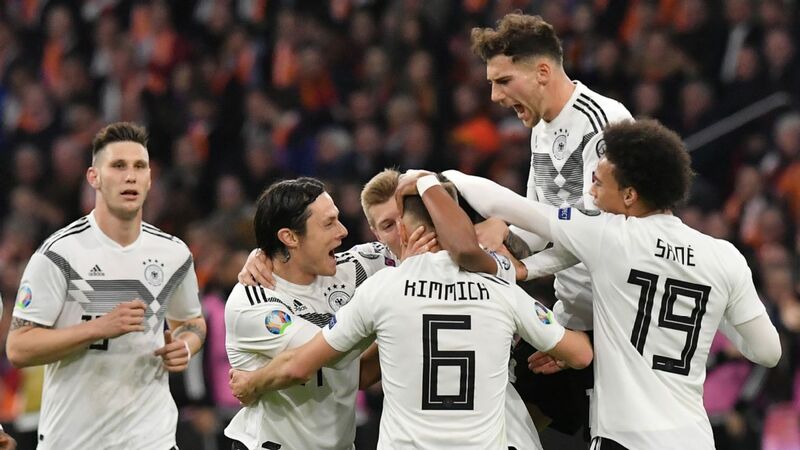 In the aftermath of Germany's horrific failure in Russia -- where the defending World Cup champions failed to even get out of their group -- Low had been under severe pressure to make amends in the Nations League. And the corridors of power at the DFB's Frankfurt headquarters have been awash with whispers that the coach's position would surely become untenable in case of relegation. On Tuesday night in Paris, having already lost 3-0 to Netherlands last week, Germany's embarrassing drop out of the elite tier was all but confirmed -- they need to rely on Netherlands losing at home to France, realistically, and then overturn the deficit from their meeting in Amsterdam to stay up -- but Grindel was keen to change the focus. A historically unprecedented sixth loss in a calendar year and the impending demotion to Group B suddenly seemed less important than the rather positive impression Low's rejigged, dynamic line-up had left in St. Denis despite the result. "We saw a bit of a transition today, one that bodes well for the future," Grindel said. "We can build on the performance of this young team today. We can look forward to the coming weeks with confidence." As Peter Ahrens of Der Spiegel rightly noted: "The fact that a narrow defeat against the world champions is now seen as a success is indicative of the team's sporting descent." But the positive sentiment was real and present enough, regardless. By surprising Didier Deschamps with a genuinely new, highly-flexible 3-4-3 system with five new players, including the mercurial Leroy Sane, Low had at last shown that he was willing to give youth a chance and could still come up with a cohesive plan. The result was easily Germany's best performance since drawing 1-1 with Spain in a friendly in March. In fact, it was a high-class affair that might have gone the other way if it hadn't been for a wonder goal from Antoine Griezmann for the equaliser and the softest of penalties for France allowing them the winner. Irrespective of the scoreline, for Germany it was a million miles away from the impotent slow-motion football seen in Russia. "Today, we had a team on the pitch," Mats Hummels proudly tweeted a couple of hours after the final whistle. 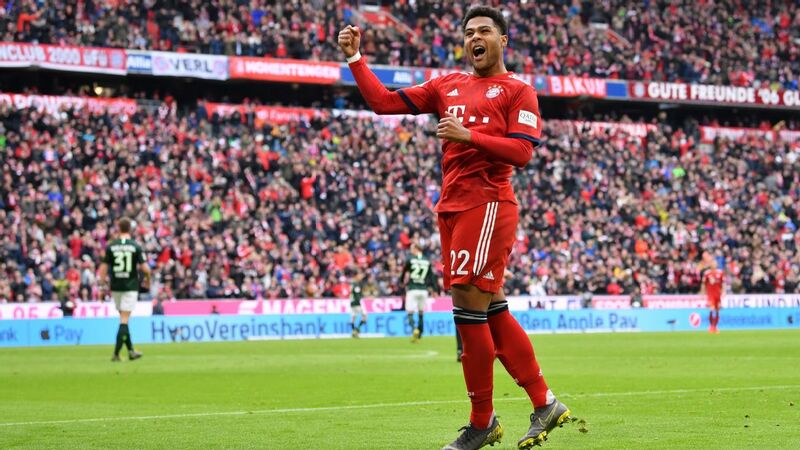 Team manager Oliver Bierhoff, too, had witnessed a side "putting the coach's measures into action," -- which goes a long way to explain the persistent backing for Low. Crucially, Germany's poor run of results had failed to bring out any dressing room dissenters before the trip to France. There were no anonymous complaints either; no negative briefings by sources close to the camp. Tuesday's competent performance served as further proof that the 58-year-old continues to enjoy the confidence of his players. For the German FA, that's good enough at this point. Available candidates who could conceivably do a better job are thin on the ground. Borussia Dortmund consultant Matthias Sammer, the most-mentioned name in recent days, has no appetite to return to coaching following a health scare in 2016. Other structural factors work in Low's favour as well. Grindel is not secure enough in his own post to force a change in management, even if he wanted to, as the Bundesliga's big guns are firmly behind the 2014 World Cup winner. By boldly rolling the dice in Paris, the manager has bought himself some respite from the critics but he's not quite out of the woods yet. 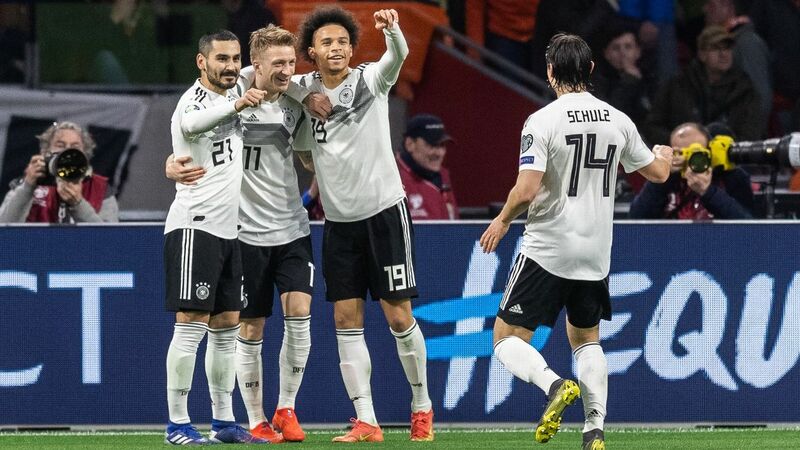 Two more performances of similar quality -- and better results -- are necessary against Russia (friendly) and Netherlands (Nations League) for Germany to believe that Low is the right man to lead them back up after taking them down.